At Cityskin we always promote healthy skin care which includes the use of sunscreen and appropriate clothing to protect the skin. The image above shows a patient in their 60s with fair skin who attended for a mole check. The image highlights the difference that clothing makes over time to protect the skin. 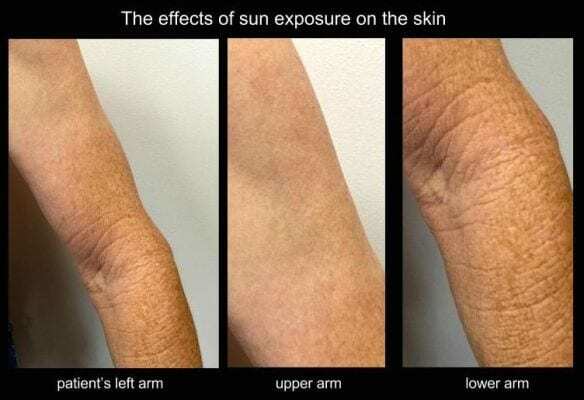 The patient’s lower arm has been exposed to the sun over years and you can clearly see the sun damage – thickening of the skin and pigmentation. 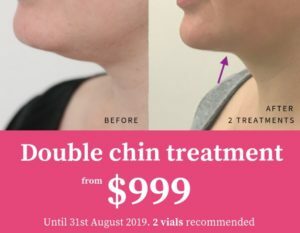 Compare that to the upper arm where the skin looks completely different – minimal pigmentation, no thickened ridges and a much younger appearance. Sun damage occurs over time and it is never too late to be more vigilant. Make sure you use Factor 30+ sunscreen and be mindful of covering exposed skin during times of high UV.